How to Pass Style Me Girl Level 56, "Yacht Party," & Get 3 Stars With No Cash Items! | I Style Me Girl! How to Pass Style Me Girl Level 56, "Yacht Party," & Get 3 Stars With No Cash Items! 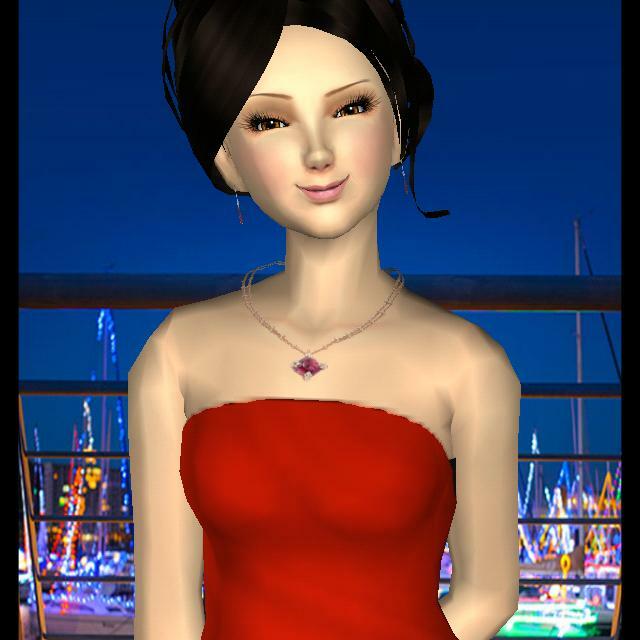 Style Me GIrl Level 56 takes you to a "Yacht Party," where the assignment is to dress Victoria for "an evening at sea." I dressed Victoria in an style I thought fitting the occasion, and earned three stars, without using any cash items. 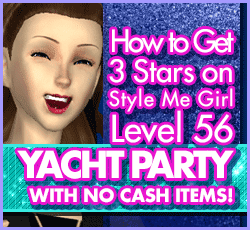 Details on how to pass Style Me Girl Level 56, "Yacht Party," & get three stars without using cash items in the post! The items I used to pass and get 3 stars on Style Me Girl Level 56, "Yacht Party," are pictured and described in the list below. I used 2 silver coin items (not cash items) from the boutique, all other items come with the game. The "Closet Items," screen capture image at right can be clicked to enlarge if you'd like a more detailed view. 3 stars. Didn't spend 200 on a ball gown. CLOTHES:Black mini dress with silver sequin belt and shoulders. If you add red lipstick instead of regular, it will give you lots of extra points!